Richie Fields' smooth country baritone has already given this up-and-coming recording artist four well-received radio singles and a #1 music video for "Man Enough To Cry" (Y'all Wire). 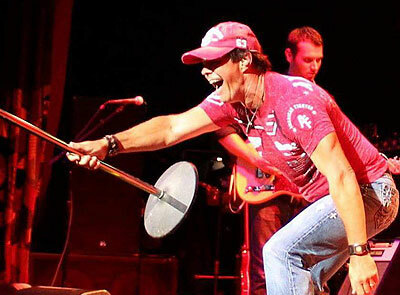 Known for his energetic live shows and ability to connect with his audience, Richie has toured nationally, playing at many of the country's most renowned venues. He has opened the show for WPOC's Sunday in the Country at a sold out Merriweather Post Pavilion and has shared the stage with many of Country Music's biggest names including Darius Rucker, Brantley Gilbert, Randy Houser, Eli Young Band, The Band Perry, Hunter Hayes, Frankie Ballard, Montgomery Gentry, Josh Turner, Joe Nichols, Joe Diffie, Tracy Lawrence, James Otto, and many more.